Storms can wreak havoc on your property and strike at vulnerable places that can cause great expense after the wind, rain and dust settles. Crowley Roofers can make your life less stressful by providing inspection and repairs to your storm damaged roof and get you quickly back on the road to restoring your life after storms hit. We have extensive experience providing residential and commercial property owners with repairs and roof replacements they can rely upon for superior quality materials and workmanship. When life has rained down lemons, we can help you squeeze out a better quality of life. After a storm hits, many people want to inspect their roofs, it’s a natural instinct to want to assess the damage, but it’s far better to make a phone call to a roofing contractor that handles emergency calls and allow them to climb ladders and inspect your roofing for damage. It’s dangerous work and just not worth the risk of personal injury attempting do-it-yourself inspections and repairs. We will look for any damaged parts of your roof such as missing shingles, look inside your rain spouts for possible missing pieces, and check for discolorations from water damage. These are just a few of the issues our professionals will observe. Our professional team of roofing contractors is a adept at the inspection process after storm damage and they can detect what to look for no matter how minor the damage night appear to an amateur. We can save you a great deal of money in the long run when you hire a professional to examine your rooftop. Storms are stressful and when they cause severe damage, you need a team that has vast experience and knowledge of what to look for so that problems do not grow larger farther down the road. Your safety is at risk and your home investment needs to be protected. 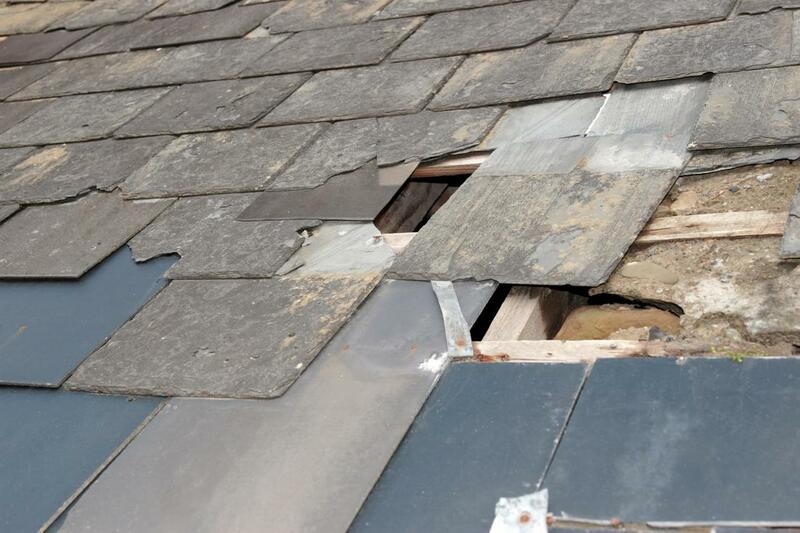 As a leading roofing contractor that conducts repairs and roof replacements, we understand the complications of insurance claims after storm damage. Storm damage is stressful enough without the endless phone calls and paperwork of filing with your insurance company for financial assistance. It’s a process that we have been through countless times with clients and we can assist you with these procedures in addition to the labor of repairs and roof replacement to lift the burden from your shoulders. We provide home owners with a detailed report of all the storm damage and we ensure that the feedback is accurate and that our plan of action is the appropriate measure for the damage. Whether you have missing shingles, leaks or a gravely damaged rooftop, we can provide you with superior care and workmanship for your roofing. Hail storms or other extreme weather does not have to be a fear when you have access to a residential roof replacement provider that understands the insurance claim process. We take pride as the best roofing company in Crowley and we provide our clients with service they can feel confident will be accurate the first time around.